If you’re reading this, then you’re either one of my loyal followers (thank you! ), friends (hey! ), family (hi, mom), or are a fitness newbie seeking personal betterment and fulfillment … in which case, CONGRATULATIONS!! That’s a big step. There’s a fine line between making a sound investment in yourself and simply throwing money out the window on something that doesn’t work, or worse, injures you. The difference is knowing how to choose the right person—and facility—to help you achieve your goals. This is considered standard procedure in the industry as most professionals are required to be certified in order to be employed. However, certifications are somewhat like Pokemon cards … the more you have doesn’t necessarily make you a better trainer. Be mindful that these pieces of paper mean nothing if one cannot apply the correct principles appropriately. Credentials that matter are industry-specific degrees, and certifications such as: ACSM, NASM, ACE, CSCS, USA Weightlifting, even CrossFit. We all know that practice means perfect, and training is no exception. Taking the time to observe a session or connect with current clients or potential candidates is a great idea here as well. Asking questions is also encouraged. If your candidate cannot tell you why something is being done, move on. This is a subtle, yet critical, point of differentiation because it can make or break your experience. What is this coach’s training philosophy? How do they develop their programming? And based on what beliefs? Make sure they make sense for your goals and preferences. This is somewhat of a no-brainer, but if you’re looking for something specific? Go to a specialist. You want to run a half-miler? Compete in Olympic weightlifting? Do CrossFit? Find someone who is an expert in the field. They’ll be most likely be more knowledgable and passionate about what they do. Here, a trainer’s experience, location, specialties, and programming modalities can determine price. However we encourage everyone to—again—do more research. 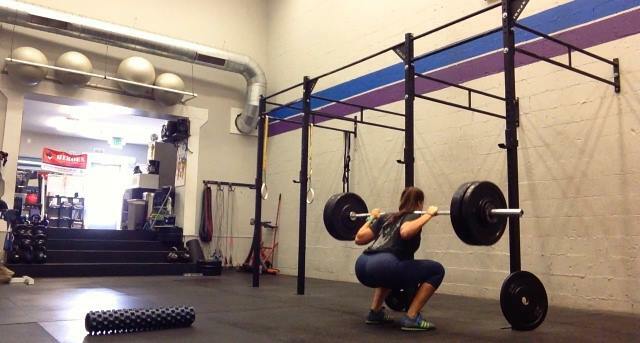 What are the market prices for CrossFit/yoga/one-on-one training? Are you truly getting what’s advertised? What are the differentiators between the competition? Those are important considerations, although keep in mind that with personal training? You usually get what you pay for. These are pretty personal, but these are important considerations to take into account before starting your search. We recommend seeking the experts and industry-leaders in your area, then going from there. Be direct when asking how your trainer will keep you accountable and track your progress. More times than not, you’ll be encouraged to take progress pics before and throughout the journey in addition to taking body-fat, weight, or performance measures. It’s crucial to work with someone who you can communicate with. Are they timely with their emails? Do they ask you questions? Will they challenge you? Will they keep you accountable? More importantly, will they educate you along the way? Those of you brave enough to take that first step towards making your wellness goals reality, I applaud you. These considerations are intended to help you navigate the rocky landscape that is the fitness industry and pick an environment and/or coach that will help you towards your goals.